This free printable Halloween Charades game will leave your guests laughing! These fun & silly free printable Halloween Charades all have a special Halloween theme. These would be fun for kids (or even adults) of all ages. They all include a Halloween character doing some sort of activity. These Halloween charades are perfect for a family fun night or as part of a children’s Halloween party. Just print the free printable, cut out each of the Halloween charades and place them in a bucket (or a witch’s pot). Split the group into 2 teams. Team A will pick one player as the actor. This player will draw a charade and will then have a specified amount of time to act out the charade and have the other team members guess. If Team A doesn’t guess the right answer before the timer ends, then Team B gets one guess for the correct answer. Remember, in charades there is no talking and no props allowed. Just use your fantastic acting skills! Halloween candy makes a great prize in any Halloween game! Planning a Halloween party? 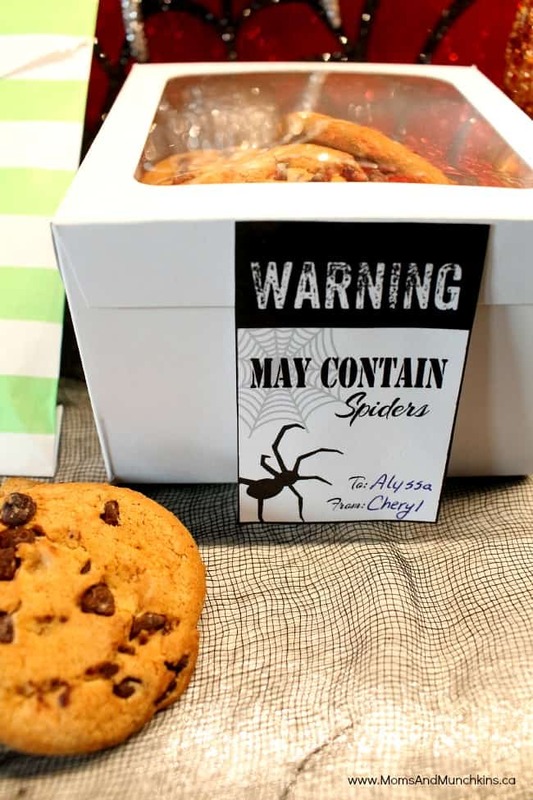 Check out some of my favorite Halloween party & favor ideas! 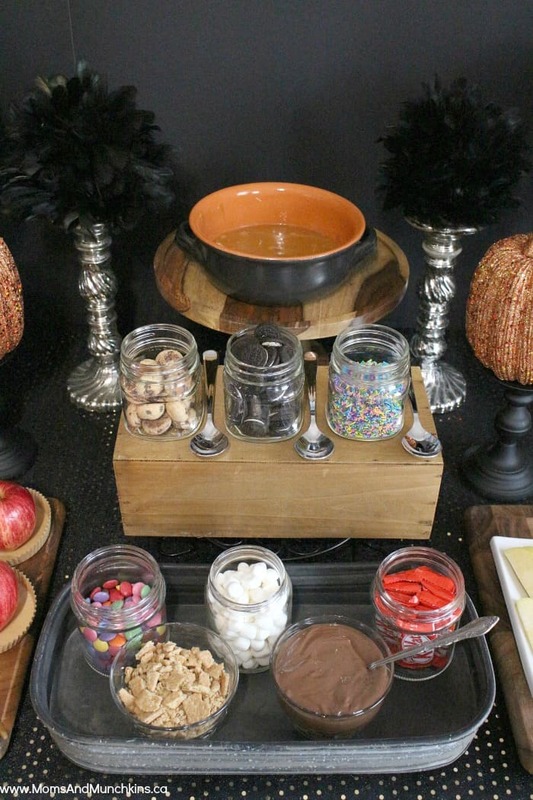 Caramel Apple Buffet – because who can turn down a caramel apple, right?! 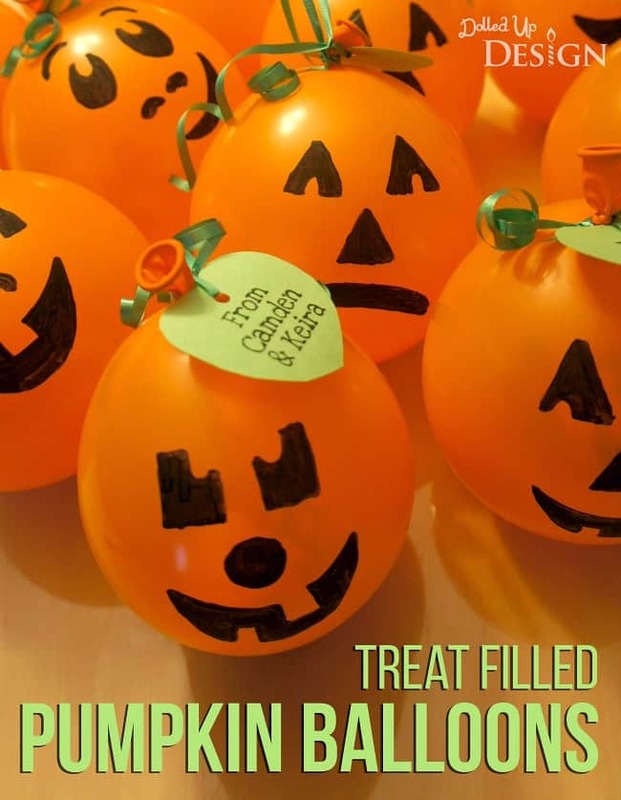 Treat Filled Pumpkin Balloons – such a fun & easy Halloween treat bag idea for kids. Great for a classroom party! Free Printable Halloween Baking Tags – fun for attaching to Halloween cookies for friends. 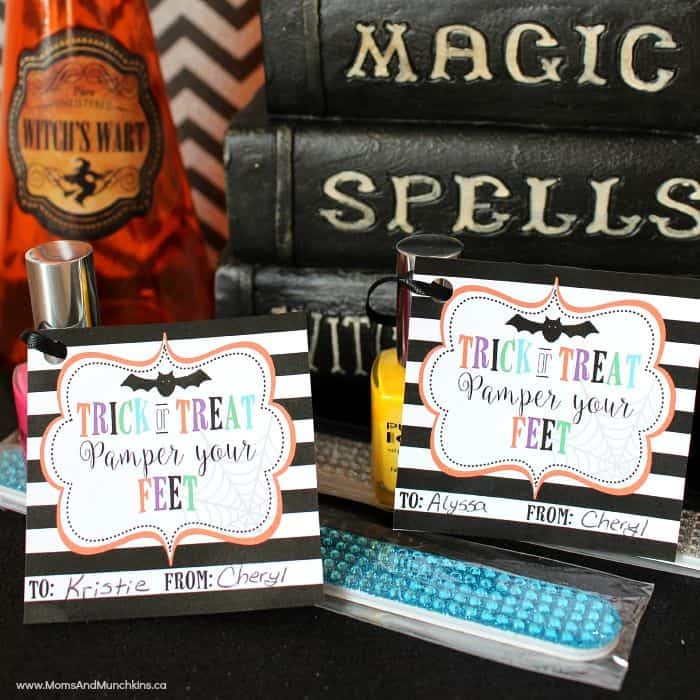 Trick or Treat, Pamper Your Feet – a free printable for a nail polish favor! A fun idea for a Ghouls Night party. For more fun ideas for Halloween including party ideas, free printable games, activity ideas and more – visit our special Halloween Fun page. To keep updated on the ideas for family fun and activities for kids, follow along on Facebook. We look forward to seeing you there! What fun ideas for charades! I love that they include a character as well as an action. Now, I want to do a Halloween party just so I can use this printable. Thanks for the idea. I love this idea – it might work both for adults and for children. Pinning away and thanks for sharing with Afterschool!